Home / Slimline System. Sleek and unobtrusive. Residential or Commercial. 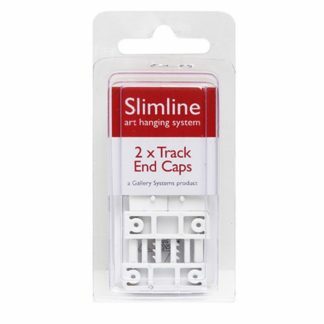 The Slimline System track is very slim and is designed to look like a continuation of the cornice. It can also be flush-mounted to the ceiling. Installation is a basic DIY job (or ask about our installation services). 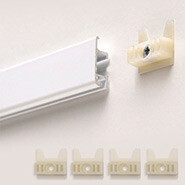 It consists of three basic components – track, hangers and hooks. 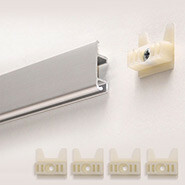 Track is available in Silver or White with a choice of nylon or stainless steel hangers. 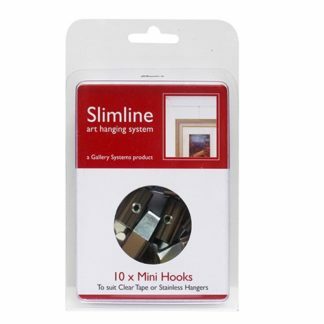 Our Slimline Picture Hanging System allows you to change your display as frequently as you wish without ever repainting or patching holes in walls. 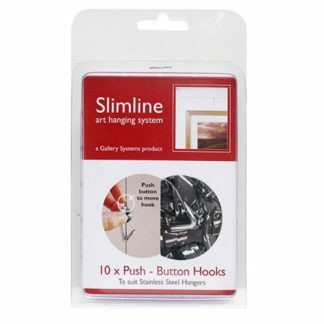 The Slimline System is the premium product in picture hanging hardware. 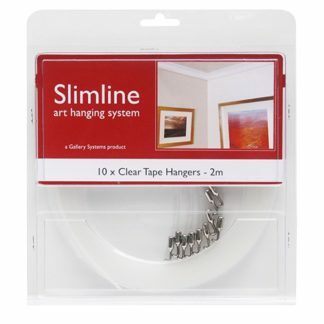 This versatile, easy to use picture hanging system is the most popular in Sydney, Melbourne, Brisbane, Adelaide, Perth and throughout Australia. If you are unsure what to order why not look at our Complete kits which are designed as a starter pack. Order online, call or email us to chat about your individual requirements or to obtain a quote!